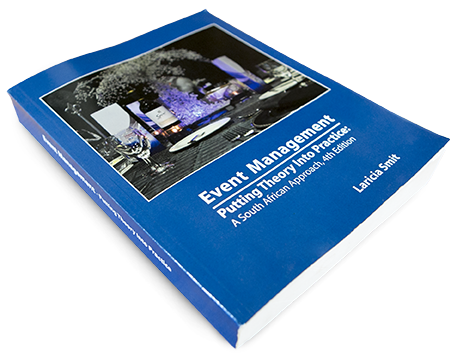 The focus of the book is to assist learners in placing event management and administration theory into practice – how to actually DO something, rather than just knowing how to do it. 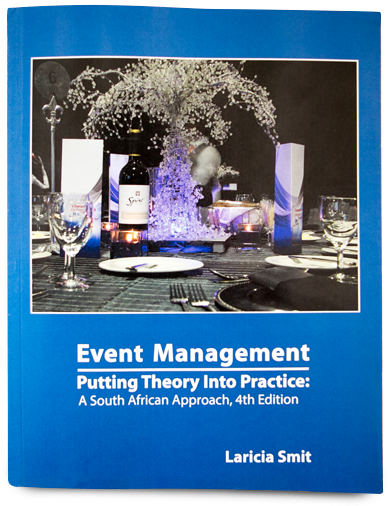 An Event Management Handbook specifically developed to meet both the needs of learners and practitioners in the South African event and entertainment industry. Templates are provided in PDF format on a CD when buying the book from the publisher.